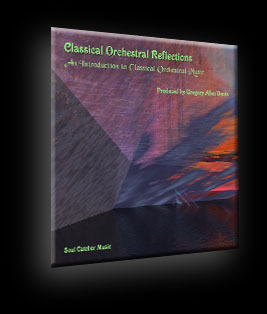 This music is an Introduction to Classical Orchestral Music and is intended to provide a rounded listening experience to music we're all accustomed to hearing whether we realize it or not. Even though much of the music was written hundreds of years ago, it still impacts our lives today, not only in the academic music world, but in the commercial world backing up television commercials, shows, videos, films, and much more. It is timeless for kids and adults of all ages. 15. Wolfgang Amadeus Mozart - Serenade No. 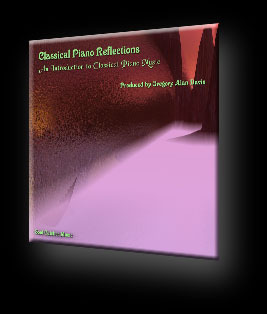 13 in G Major, K. 525 "Eine Kleine Nachtmusik"
This music is an Introduction to Classical Piano Music and is intended to provide a rounded listening experience to music we’re all accustomed to hearing whether we realize it or not. Even though much of the music was written hundreds of years ago, it still impacts our lives today, not only in the academic music world, but in the commercial world backing up television commercials, shows, videos, films, and much more. It is timeless for kids and adults of all ages. 5. Franz Joseph Haydn - Twelve Minuettos, No. 11 in F Major Hob. IX:8, "Little Serenade"
NOTABLE LICENSING ACTIVITY: Brahms Hungarian Dance #2 for Orchestra has been licensed for a Belgian French film, The Selective Memory of Pauline Etienne-Offret and Rafaella Houlstan-Hasaerts by Versus Productions. Selections from these collections have obtained 11 sync licenses for Film / TV / Video.